Before we discuss the various types of water irrigation system available, let us first discuss what irrigation basically mean? Irrigation can be scientifically defined as the artificial way of applying water to the land or soil. They are basically used on farms to assist growing crops, and are also used in re-vegetation of disturbed soils in dry and hot areas, may be when a particular region is facing a drought. Irrigation can also be defined as the practice of transporting water from one location to the other location under drought. They are usually used on farms to water crops, at home to water gardens and lawns. The water irrigation system was invented thousands of years ago. 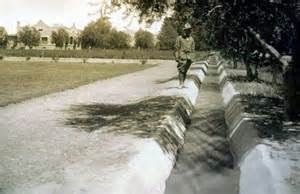 Back then, irrigation was done by attentively placed channel and they depend upon the gravity power to push the water. Most of the locations still use this ancient technique. The main factor a farmer has to think of is how efficiently he can make use of water resource availability. If there is no sufficient water then it results in dead and dry fields while more water can lead to soil erosion and hence destroy the crops. So the farmer has to plan carefully before he starts cultivation. Most of the farmers make use of modern water irrigation system these days. Some of them are given below. Surface irrigation: In this method, one has to rely on gravitational power to push the water from one location to another. In such extreme cases where gravitational power cannot push the water into the required location, pumps can be used as an alternative. Seepage Irrigation: It is a type of irrigation, where crops get water from underground resources. These types of irrigation can be expected in such places where there high water table exists. Sprinkler Irrigation: It is a type of irrigation where the water is passed through a series of pipes and then sprinkled over the crops. These sprinklers will be made rotational so that equal amount of water can be sprayed. 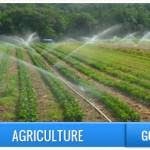 Drip irrigation system: It is a typical irrigation system, where as the name suggests water falls on the crop drop by drop over the roots directly. Drip or sprinkler: Which is a best irrigation system to help conserve water?